This glamorous design is a halo engagement ring. It features 5/8 cts of diamonds and handcrafted filigree. 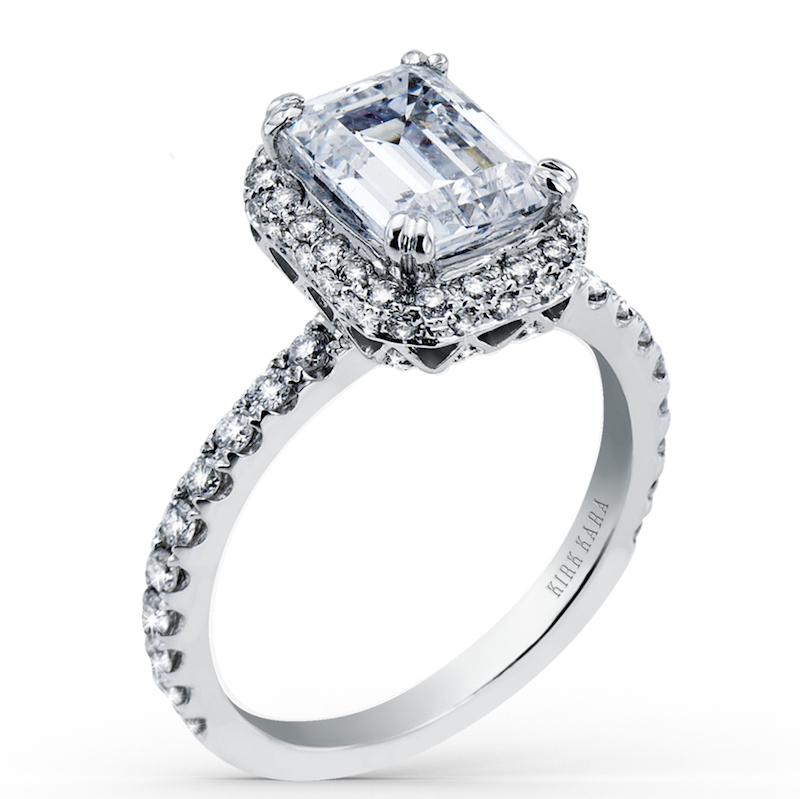 The center 2 carat emerald cut stone is sold separately.